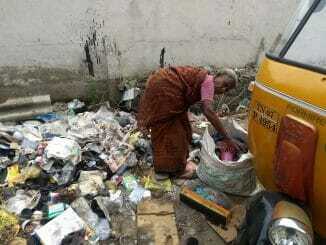 For slum dwellers evicted from the banks of the Adyar and Cooum rivers in Chennai, currently residing in Perumbakkam, access to food rations under the Public Distribution System (PDS) is proving to be one arduous process. In addition to lack of educational facilities for children and infrastructural inadequacies highlighted in earlier articles in Citizen Matters Chennai, severe lapses in the functioning of the government-organised PDS, leading to insufficient essential commodities that families are dependent on, have also come to light. For the estimated number of 7600 families in Perumbakkam, there is only one PDS centre, and these too often report scarcity of provisions. Each family is entitled to 30 kg of rice per month, which they have never received even once during their two-year stay at the resettlement. “We have to take leave from work to get provisions from the ration shop. They give only one provision a day. What about the rest? How can we afford to take so many days of leave in a month?” questioned Paramavelu, a resident. There are carpenters, electricians, manual scavengers and housemaids in the settlement, most of whom are solely dependent on these PDS provisions. But lapses in the system have made them give up their visits to the PDS centre and manage with whatever is available. “After multiple visits and fights with the person in charge of the ration shop, I could get 5kg rice this month. I am not sure how to run the household, once this is finished,” says Banu, a widow who has been looking for a job. According to government norms for functioning of a PDS, each centre should not have more than 1000 ration cards serviced by it. 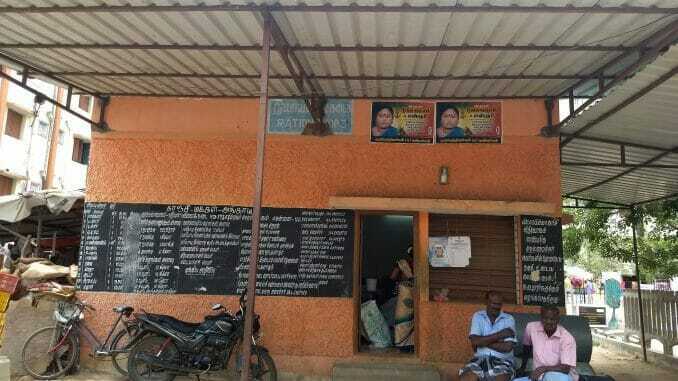 However, this centre exceeds the norm by more than 7.6 times, points out Anupriya Murugesan, a local social worker. Though the Tamil Nadu Slum Clearance Board (TNSCB) has completed construction of another PDS centre in the locality, the Department of Civil Supplies, which is the nodal agency, has not sanctioned operations there as yet. Most of the residents have still not been allotted ration cards, after their previous ones were cancelled during eviction. Corruption has also been a long standing problem, with the personnel-in-charge of the ration centre, often fleecing card holders. “If we give the person at the shop a 100-rupee note and buy groceries (like sugar) worth Rs 50, he seldom returns the remaining change. He either keeps it for himself or persuades us to buy rations for Rs 100,” shares Banu. She has also complained that the process of getting free rations from the shops is not a one-time thing, as one should pay at least five visits. The PDS centre functions on alternate Sundays to facilitate residents, says the officer on duty at the centre. However, he turned mute when asked about the corruption, and later denied the allegations. When our reporter went to the centre around 12.30 pm on a Thursday last week, the shop was all set to close for the day. Absence of Primary Health Centres and lack of job opportunities for residents are a few among many other issues that the rehabilitated settlers are grappling with in this area. Most of the houses in Phase 1, occupying the first few blocks, are in dilapidated condition. Sewage water from the houses in the upper floors seeps into houses in the lower floors. 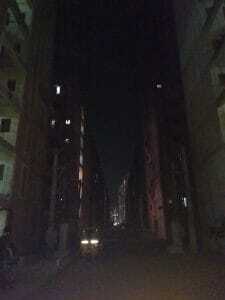 Another serious concern is the absence of street lights in the entire settlement. 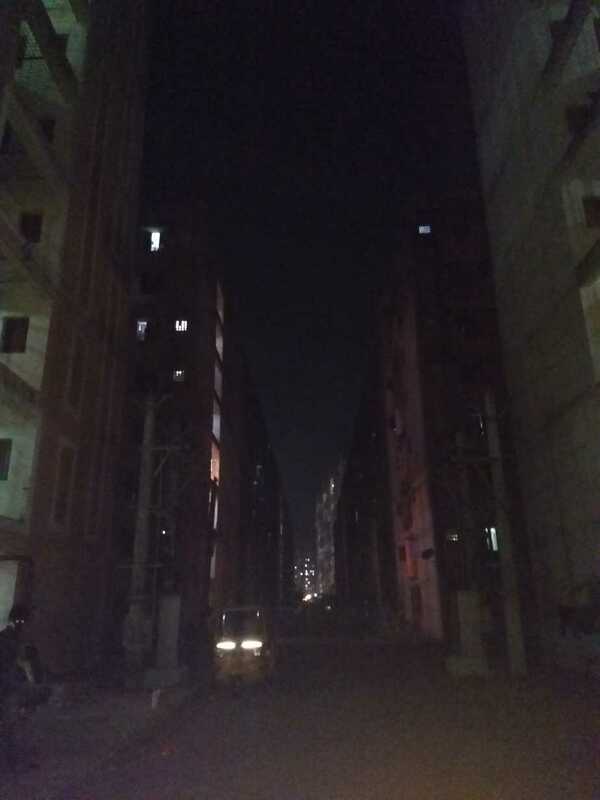 Whether it is lack of PDS supplies or inadequate street lighting, the absence of a comprehensive housing policy is the reason behind such varied and multiple problems. 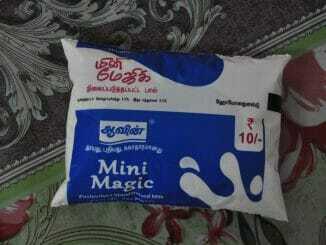 “In the case of the Perumbakkam resettlement, the TNSCB has experimented on people. Only after the construction, did they realise the loopholes in their design. I wonder how it passed all the stages of clearance,” said Vanessa Peter, policy researcher, Information and Resource Centre for the Deprived Urban Communities. A housing policy mandates preparation of a Detailed Project Report (DPR) as far as relocating and rehabilitating slum dwellers is concerned. At Perumbakkam, rehabilitation finds only a mention in the proposals. “TNSCB can provide only housing to slum dwellers. In the absence of a comprehensive policy, the other departments are not mandated to provide the supporting civic and social infrastructure in these colonies. Now TNSCB bears the additional burden of navigating the long bureaucratic process of approaching other departments individually for necessary facilities,” Vanessa added. 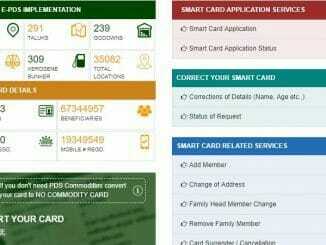 From how and where to get your Smart Card, how to link it to Aadhaar, or how to change your details in the card — this guide will answer all your questions about the modern alternative to your ration book.